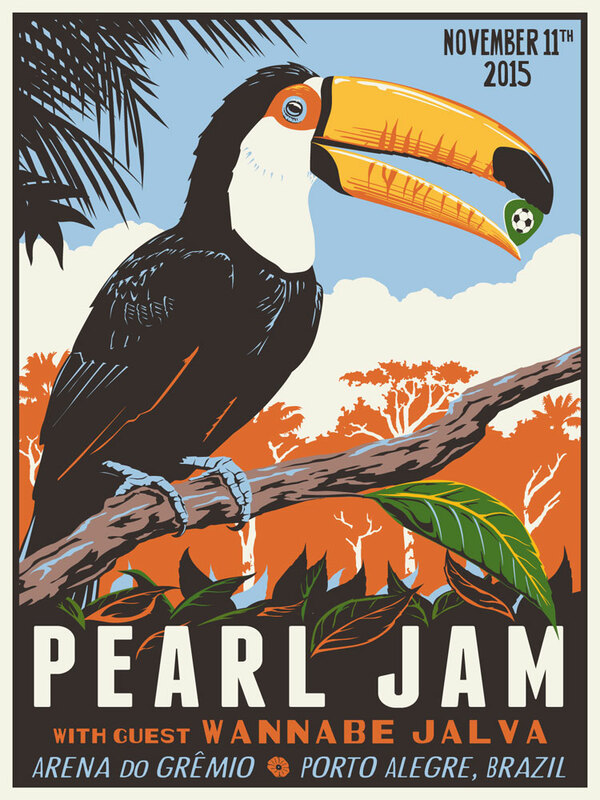 Steve Thomas [Illustration]: Official Pearl Jam concert poster! Official Pearl Jam concert poster! I had the INCREDIBLE, AWESOME, AMAZING opportunity to create a concert poster for Pearl Jam! The poster is for tonight's show in Porto Alegre, Brazil. I wish I could be there. I remember seeing them at Lollapalooza at Pine Knob outside of Detroit. Still rocking 20+ years later! Prints are sold out. Thank you.